These photos were taken of a brown bear sow that the rangers have named milk shake and her 4 cubs. 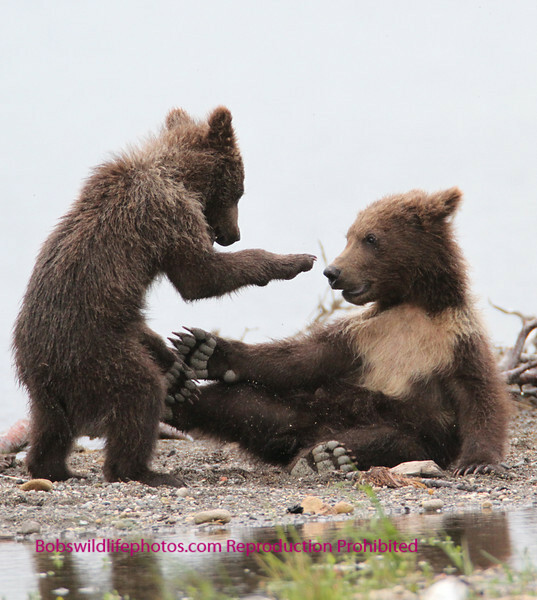 The photos were taken at Katmai National Park in late July, 2010. According to the rangers, this is the second time this sow has had 4 cubs. We were very lucky in that she spent a lot of time on the beach within yards of the Brooks Camp durring our stay, this allowed Sherry and I to take over 2,000 photos of this family. We've moved some of our favorites to thei folder.